We begin this excursion with a visit to the world's northernmost botanical garden. Here you can find many Arctic, Antarctic and Alpine plants from all continents and traditional ornamental and useful plants from northern Norway. 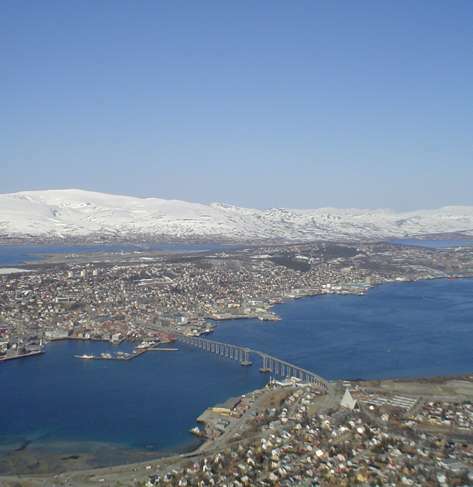 We continue the tour around the island of Tromsø, over the bridge connecting the island with the mainland, to the Arctic Cathedral. Last stop is Fjellheisen, a cable car, which takes us up to the mountain called Storsteinen ( The Great Stone) (421moh) where we enjoy a spectacular view of the city.